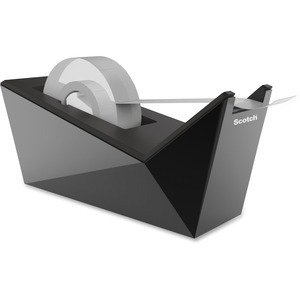 Add style and elegance to your home or office work space with this edgy, Scotch Desktop Dispenser. 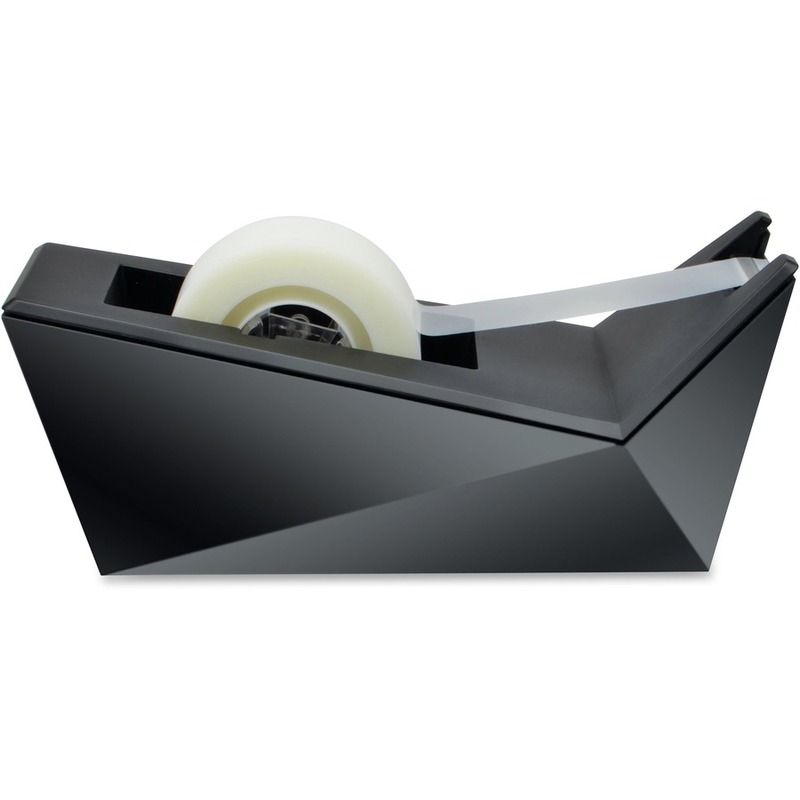 The dispenser is designed for easy, one-handed tape dispensing and can handle rolls up to 1,500" long. It also features a premium metallic black finish and include a 3/4" x 300" roll.